I’m on an ‘eat healthy’ kick right now- trying to lose some extra lbs that i don’t need… So that explains the menu. I have to plan it out or it won’t happen, ya know? Wednesday- Bison Burgers with Grilled Corn on the Cob – Using these little babies! 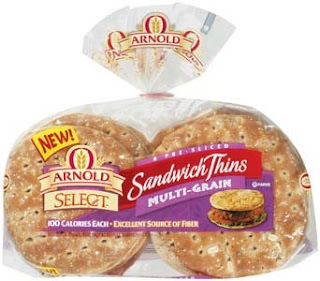 Arnold’s Whole Wheat Sandwich Thins- I’ve heard they are delicious so i’m trying em’ out! Only 100 calories for the entire bun! Yum Yum!